Boxing analysts and former fighters continue to weigh-in on the biggest fight in recent memory. Floyd Mayweather is favored to defeat Manny Pacquiao when they meet at the MGM Grand in Las Vegas on Saturday by 10/21 odds. But there are varying opinions on who will emerge victorious. While most experts are going with the favorite, Pacquiao has his share of support. Others think the result will be so even that it will result in a draw. Atlas picked Pacquiao by decision. In February, Atlas had predicted Mayweather. “The easiest pick, the safest pick, would be Mayweather. There is a reason why, up on the boards in this betting city he is the favorite. He is a counter-puncher. He lays back he doesn’t take many chances. You know, he’s a paradox. He’s really an interesting guy…because he has had a lot of risk outside the ring, but inside the ring? That’s his haven, and that’s when he plays it safe. It’s got him to 47-0. Who can argue with it? He’s a guy who lives off defense, lives off counter-punching. "Mayweather’s greatest strength is also his greatest weakness: his defense. Because sometimes he will go into that defense a little too long, and that’s where my pick comes in. That’s where Pacquiao has the hand speed, has the volume punching … Pacquiao can outhustle him, outwork him, and he can steal rounds where he can grab a decision." “I’m not going to pick a winner because this is a tough fight. We have in one corner Manny Pacquiao, and the other one Floyd Mayweather. But the guy who comes with no fear of anything on May 2nd – that’s going to be the winner." “Manny isn’t knocking people out as much anymore. The fight is at 147 pounds. That might give Mayweather a slight edge. I think you have to make Mayweather the favorite. I don’t think that much has changed. Clearly Pacquiao has a skill set that Floyd has not faced too often in his entire career, not just as a welterweight champ. That’s one of the reasons that people are excited for this fight. 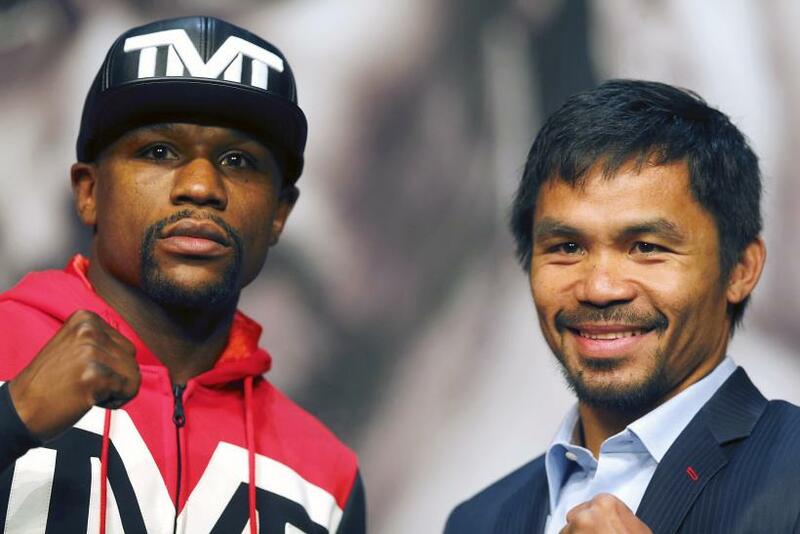 You make Floyd the favorite, but Pacquiao is obviously dangerous." “Mayweather loses the first three rounds – he does that all the time. And he will not be able to catch up, although he will finish stronger. But I give it to Pacquiao by one round." “Mayweather has the ability to win this fight convincingly, but I expect Pacquiao to fight with a lot of intelligence and make this a very tactical bout. Mayweather will do enough to win (counter-punching, being evasive and making Pacquiao miss his power punches), but at least one judge will believe that Pacquiao was more of the aggressor and award him rounds that Mayweather will think he won easily. Expect at least a small dose of controversy when the scorecards are read." "Pacquiao has bounced back to some degree from being knocked out by Juan Manuel Marquez, but it’s hard not to think that he’s still a fighter on the wane. And even at his very best, Pacquiao would face a mammoth challenge against the brilliant counter-punching skills of Mayweather. The undefeated Mayweather is a master of his craft, and with a five-inch reach advantage in combination with his phenomenal footwork he will be able to prevent Pacquiao’s furious hand speed from doing damage inside." "The deciding factor will of course be how well Mayweather avoids Pacquaio’s dazzling flurries, and how often he can do so while counter-punching for enough points for the judges. Pacquaio will throw a ton of punches, and Mayweather will sit back and try to tag him. Expect a slower pace in the first few rounds as the fighters test each other, and things to pick up between the fourth and eighth rounds. If Pacquiao is able to string together his combinations and keep Mayweather guessing, he’ll take the middle rounds and get the judges’ approval." "Five years ago, Pacquiao would’ve had a much better chance to win this fight, but he’s clearly not the same fighter who was knocking out opponents routinely. Mayweather’s defensive skills are still the best in the sport, and Pacquiao won’t be able to inflict enough damage to get the victory. Even though Mayweather is unlikely to knock out Pacquiao, he’s so accurate with his punches that he’ll do enough to get a victory on all three judges’ scorecards."